This policy brief focuses on the territories Israel occupied in 1967 – the West Bank, including East Jerusalem, the Gaza Strip, and the Golan Heights – and more specifically on the Israeli settlements and outposts that were built in the occupied Palestinian territory (OPT). 3 It does not tackle all of Israel’s violations of international law and of Palestinian rights. 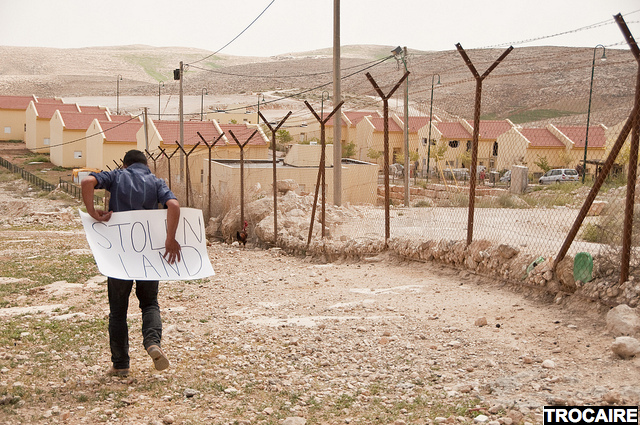 The fact that Israel’s settlement construction has been based on the economic exploitation of the OPT has been widely documented. This has included the confiscation of large swathes of Palestinian land and destruction of Palestinian property to use for construction and agriculture purposes; seizure of water resources to the extent that 599,901 settlers use six times more water than the whole Palestinian population in the West Bank of some 2.86 million; appropriation of touristic and archeological sites; and exploitation of Palestinian quarries, mines, Dead Sea resources, and other non-renewable natural resources, as will be discussed below. As a result, Israeli settlements now control around 42% of West Bank land. This figure includes built-up areas as well as the municipal boundaries of the Israeli settlements. These boundaries actually encompass an area 9.4 times larger than the built-up areas of the West Bank settlements and are off-limits to Palestinians unless they have permits. The majority of settlements in the West Bank are built in Area C, which represents 60% of the West Bank and which is richly endowed with natural resources. 4 According to a World Bank study, 68% of Area C has been reserved for Israeli settlements, while less than 1% has been allowed for Palestinian use. Israeli revenue from the exploitation of Palestinian land and resources in the Jordan Valley and northern Dead Sea is estimated at around NIS 500 million annually (around $130 million). To get a sense of the impact on the Palestinian economy, it is worth noting that the indirect cost of Israel’s restriction on Palestinian access to water in the Jordan Valley – and their inability to cultivate their land as a result – was $663 million, the equivalent of 8.2% of Palestinian GDP in 2010 (see Table E1 in this report). Israel’s illegal settlement enterprise has clearly had a profoundly negative effect on the Palestinian economy. Israel’s control over water and land has helped to decrease the labor productivity of the agricultural sector and its contribution to GDP: The contribution of agriculture, forestry and fishing declined from 13.3% in 1994 to 4.7% in 2012, at current prices. The dumping of solid waste and wastewater from industrial zones in the settlements into the OPT has further polluted the Palestinian environment, land, and water. Restricted access to the vast resources of the Dead Sea has prevented Palestinians from establishing cosmetics businesses and other industries, based on the extraction of minerals. A World Bank study estimated that had there not been access restrictions, the production and sales of magnesium, potash, and bromine would have had an annual value added of $918 million to the Palestinian economy, the equivalent of 9% GDP in 2011. Severe constraints on access to mines and quarries in Area C have also hindered Palestinians’ ability to extract gravel and stones. The estimated annual lost gross value added to the Palestinian economy from quarrying and mining is $575 million. 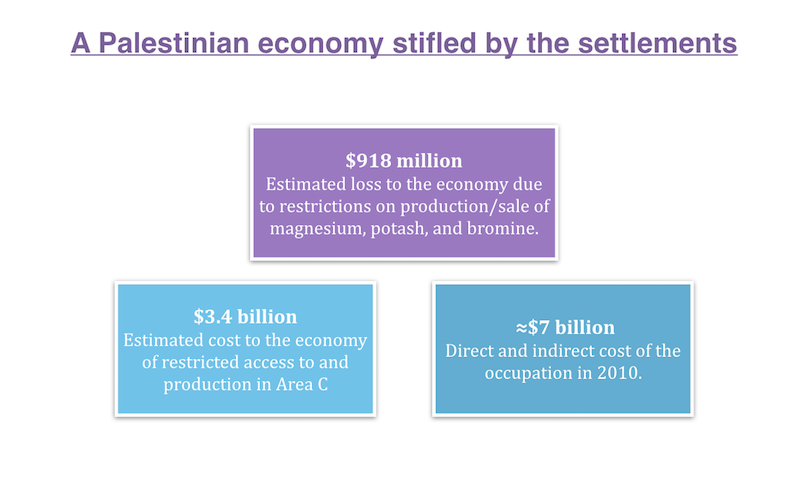 In total, it is estimated that restricted access to and production in Area C has cost the Palestinian economy $3.4 billion. As discussed in an earlier Al-Shabaka policy brief, Israel even controls Palestinian access to their own electro-magnetic sphere – a policy to which the settlements contribute – creating losses of between $80 to $100 million annually for Palestinian telecommunication operators. This harsh economic reality is the primary factor driving some Palestinians to work in Israeli settlements – the figure is estimated at just 3.2% of the total employed persons from the West Bank in the Third Quarter of 2015. 7 Instead of being self-sufficient owners of means of production Palestinians have been dispossessed of their economic resources and rights by the Israeli military occupation and Israel’s settlements, and have been transformed into cheap labor. In fact, most Palestinian workers in the settlements are in low skilled, low paying jobs: At least half of them are employed in the construction sector. In other words, less than 11,000 Palestinians are employed in Israeli settlement industry and/or agriculture. This means that less than 2% of the total employed Palestinian population would be impacted in the event of closure of Israeli industries in the settlements. Palestinian workers in the settlements are subject to difficult and sometimes dangerous working conditions, and it is estimated that 93% do not have labor unions to represent them. Indeed, they are subject to arbitrary dismissal and withholding of their permits if they demand their rights or try to unionize. A 2011 survey found that the majority of Palestinian workers would leave their jobs in the settlements if they could find an alternative in the Palestinian labor market. While it is argued that Palestinian workers in settlements receive higher wages than in the Palestinian labor market, it is worth noting that they are paid, on average, less than half the Israeli minimum wage. For example, in Beqa’ot, an Israeli colony in the Jordan Valley, Palestinians are paid 35% of the legal minimum wage. Note that the packing houses of Mehadrin, the largest Israeli exporter of fruits and vegetables to the EU, are located in this settlement. It is against this background that the EU’s role vis-à-vis Israeli settlements should be discussed. The EU recognizes that Israeli settlements established in the OPT are illegal. Its Interpretative Notice clearly stated that the EU, “in line with international law, does not recognise Israel’s sovereignty over the territories occupied by Israel since June 1967.” And yet the EU imports goods from the Israeli settlements (mostly fresh fruits and vegetables that are grown in the Jordan Valley) at an estimated annual value of $300 million. This is more than 17 times the average annual value of goods exported from the OPT to the EU between 2004 and 2014. Despite the Interpretative Notice, there remains a large discrepancy between the EU’s rhetoric and its actions, and the Notice is insufficient to fulfill the EU’s legal obligations, for several reasons. To begin with, not all products from Israeli settlements are to be labeled. Only fresh fruits and vegetables, poultry, olive oil, honey, oil, eggs, wine, cosmetics, and organic produce are subject to mandatory indication of origin. Pre-packaged foods and industrial goods that are not cosmetics are only subject to voluntary indication of origin. In addition, Israeli companies operating in the settlements can easily circumvent the labeling of their products. For example, they can mix goods produced in the settlements with other goods produced in Israel and avoid their being labeled as “settlement products.” They can use the address of an office inside Israel’s internationally recognized borders as the company’s official address instead of the actual site of production. The EU should also note that those companies that do label their products as produced in the settlements can receive compensation from the Israeli government for any losses they might incur. It is estimated that the state budget has allocated some $2 million each year for the past 10 years to compensate Israeli companies in the settlements for losses they would face as a result of the halt of preferential customs treatment and other benefits. Furthermore, in clear divergence from its rhetoric, the EU undertakes projects with Israeli companies that are deeply involved in the settlements and the occupation. For instance, the EU has approved 205 projects with Israeli participation in Horizon 2020, the largest EU research and innovation program. The participating Israeli companies include Elbit, which is directly involved in the construction of settlements and the Wall; Israel Aerospace Industries, which supplies the equipment needed for the construction of the Wall; and Technion University, which works with the Israeli military complex. European banks are also connected to Israeli banks, which provide mortgages for settlers, finance Israeli authorities in the settlements, and fund state-sponsored construction of settlements and other business activities that perpetuate the settlement enterprise. Therefore, the EU’s Interpretative Notice seems to be primarily a symbolic step, through which it pays lip service to the growing demands from European civil society, which is increasingly supportive of the Palestinian-led Boycott, Divestment and Sanctions (BDS) movement, that it apply its regulations and hold Israel accountable. Under international law third states are obliged not to recognize as lawful an illegal situation, not to provide any assistance to maintain an illegal situation, and to cooperate to ensure the compliance by Israel with international humanitarian law. In other words, the EU and its member states should do everything possible to put an end to Israel’s illegal settlement enterprise. The EU could begin to translate its rhetoric into effective measures to hold Israel accountable by enforcing a complete ban on all direct and indirect economic, financial, business, and investment activities with the Israeli settlements, following in the footsteps of Copenhagen, Reykjavik, and recently Amsterdam. As recently recommended in a European Council on Foreign Relations report, it should also halt financial relations with Israeli banks, especially those that finance the occupation and the construction of settlements. In addition, the EU member states should on their own cease all relations with Israeli settlements. It is worth noting here that the EU is Israel’s largest trading partner, with trade totaling around 30 billion Euros in 2014 (around $36 billion using Dec 31, 2014 exchange rates), which represents around 33% of the total Israeli exports of goods and services in 2014. 8 EU trade with Israeli settlements represents less than 1% of EU trade with Israel. A serious EU move would have real impact on Israel’s settlement enterprise and prolonged military occupation. In addition to moving from labeling settlement products to ending all dealings with Israeli settlements, European countries should consider a ban on all Israeli goods. Since the EU recognizes that Israel’s control of the OPT is a state of occupation – a nearly 50-year military occupation – it should deal with the root cause of the occupation, i.e. Israeli government policy, rather than just the symptom of the occupation, i.e. the settlements. In apartheid South Africa, for example, a boycott that only focused on businesses that bordered townships would not have greatly affected the apartheid system. Similarly, just boycotting Israel’s settlement products would have much less impact than boycotting the very system that is masterminding the colonization of the territories in order to pressure Israel to end its occupation. This is why it is important to ban all Israeli goods and not only these of the settlements. Such a step would, among other things, address the issue of Israel’s cheating with regards to the origin of the goods and commodities from the settlements. This is difficult to control unless the actual companies are boycotted and not only their goods and services. In fact many of the companies working in the settlements originate in Israel rather than the 1967 territories. The calls for a full boycott are growing and finding adherents in unlikely places. For example, two US academics recently argued in a Washington Post op-ed that just boycotting settlement goods would “not have sufficient impact.” Instead they called for “a withdrawal of U.S. aid and diplomatic support, and boycotts and divestitures from the Israeli economy” in order to reshape Israel’s strategic calculations. For Palestine, such a ban would help protect Palestinian goods, increase their competitiveness, and help to ensure the ability of the Palestinian economy to be integrated into the international economy in the future, once freedom is assured. Boycotting all Israeli goods and services would be an effective way to empower the Palestinians to overcome Israeli colonialism. This would be much more effective than providing development assistance for specific sectors, and would directly respond to the demand of the Palestinian people for freedom and human rights. 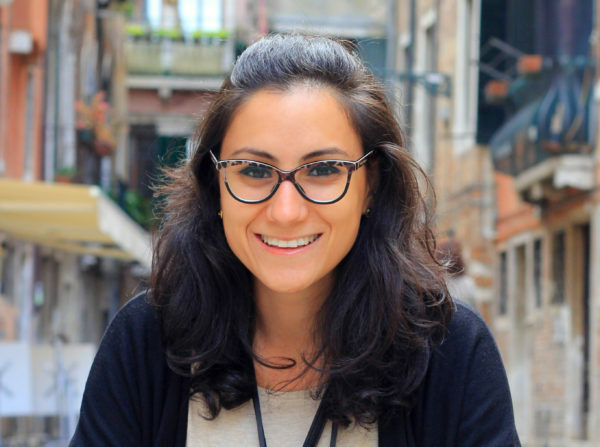 Al-Shabaka Policy Advisor Samia al-Botmeh is an assistant professor in economics and researcher at the Centre for Development Studies at Birzeit University in Palestine. She has completed her PhD at the School of African and Oriental Studies- University of London, in labour economics, the title of her thesis: “Palestinian Women's Labour Supply: Towards an Explanation of Low and Fluctuating Female Labour Force Participation”. 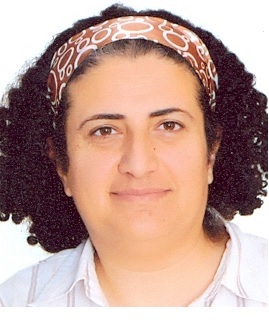 Previously, al-Botmeh worked as Senior Researcher and Coordinator of Research at the Palestine Economic Policy Research Institute (MAS) in Ramallah and has published extensively on contemporary Palestinian economics, labor markets, gender differentials, and political economy of development under colonialism. Al-Shabaka Policy Advisor Leila Farsakh is associate professor in political science at the University of Massachusetts Boston. She is the author of Palestinian Labor Migration to Israel: Labor, Land and Occupation, (Routledge, Fall 2005) and editor of Commemorating the Naksa, Evoking the Nakba, (a special volume of Electronic Journal of Middle Eastern Studies, in Spring 2008). She has written widely on the political economy of the Israeli-Palestinian conflict and on the one-state solution. Dr. Farsakh has since 2008 has been a senior research fellow at the Center for Development Studies at Birzeit University, in the West Bank. In 2001 she won the Peace and Justice Award from the Cambridge Peace Commission, in Massachusetts, U.S.